Children’s Ministry is a great place for children and families to grow in faith and friendships. We encourage families to connect through worship, learning, playing, and serving together. Resurrection believes in walking alongside families. This group of children and parents meet quarterly for fellowship through simple age-appropriate activities. Past activities have included picnicking at the park, riding big-wheels, creating crafts, and cookie painting. Our goal is for our parents (and kids) to develop relationships with peers and faith mentors that will continue as your child grows. Contact Elizabeth Jones or Jennifer Prickel to learn more about Youngest Friends Club. 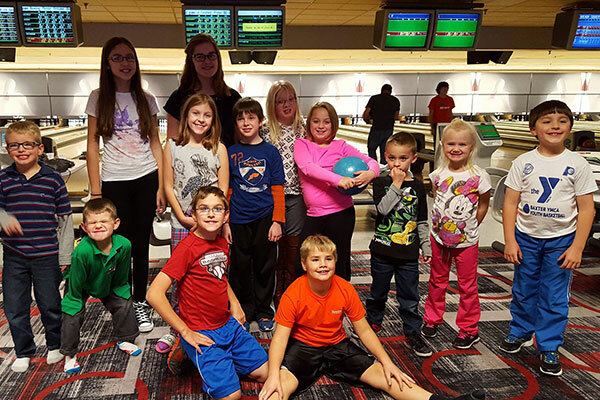 This group for elementary youth meets one Sunday a month for fellowship through field trip outings. Past field trips have included swimming at Indy Island, bowling, roller skating, and an apple orchard. Our goal is for our kids to develop relationships with peers and faith mentors that will continue through the middle and high school years. Parents are welcome and encouraged to join us on Kids Club outings – to deepen their family relationship and get to know other children and families in their child’s age group. Contact Marcie Hrankowsky or Jennifer Prickel to learn more about Kids Club. It has been customary at Resurrection to invite 4th grade children to this class. We also understand that some parents may want their children to commune at an earlier age. There is a wide variety of practice throughout the ELCA, and we at Resurrection, leaving this to the prayerful discretion of parents, are most happy to welcome younger children if this is what they and their parents desire. We always, however, formally invite our 4th graders, as well as any other older children who are not yet communing. We offer a week long Vacation Bible School program in early June.